Wait, so you're telling me you can own a 1M and get a carmax warranty with it? Today, in unnecessary car shopping with E90M3, we come across a 1M. 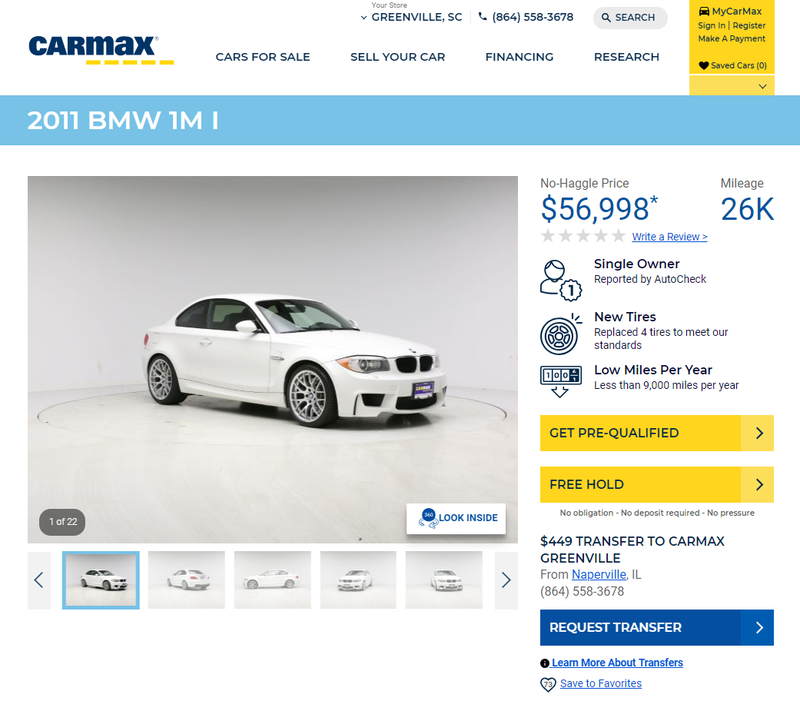 That’s right, carmax some how has a one owner 1M that has only done 26k. This one is finished in Alpine White, one of the three colors you could buy them in, with the black interior with orange stitching, which was the only interior option. While we’re on the subject of options, BMW didn’t give you a chance to ruin the car by selecting a DCT. No, you could either row your own or go and buy another car. I have driven one before, and it is fantastic. I would recommend it to anyone. I was thinking about buying one when I got my M3 in 2014, as they were both about 50k. Sometimes I wonder if I made the right decision, this isn’t making it any easier. So, WilliamsSW, you going to nix the idea of a Benz and get this?